Jackson Events is a full-event service-planning firm. While we specialize in celebrity placement, we are able to provide event management for any occasion, corporate parties, charity events, holiday celebrations, golf tournaments and corporate incentive trips. We are proud to offer you the benefits of our solid partnerships with the industry’s top service providers. The event services provided by Jackson Events is seemingly endless. First off, Jackson Events can arrange for any of your clients needs. Our crew at Jackson Events has a wide network of contacts in the event services business. These connections exist across North America. These include but aren’t limited to, hotels, resorts, golf courses, conference centres, restaurants, various entertainment sources such as guided tours, keynote speakers, and live performances. Jackson Events event services crew is also able to arrange for a variety of different activities for your group to participate in throughout their event. Our event services staff also handles all logistics of your or your corporation’s event, such as catering, transportation and other special requests you may have. Jackson Events is able to bring in a celebrity to be a part of your event and we will provide full staff to execute your event services, from start to finish. Jackson Events is equipped to plan and be on site. A good example of event services provided by our staff at Jackson Events is the Mike Keane Celebrity Hockey Classic that was held in Winnipeg. This sporting event is an annual hockey tournament that comprises of 18 teams and raised over $400, 000 at the 2014 event. The 18 teams were mostly made up of adult recreational teams with the sole object being to have fun and raise money for charity. 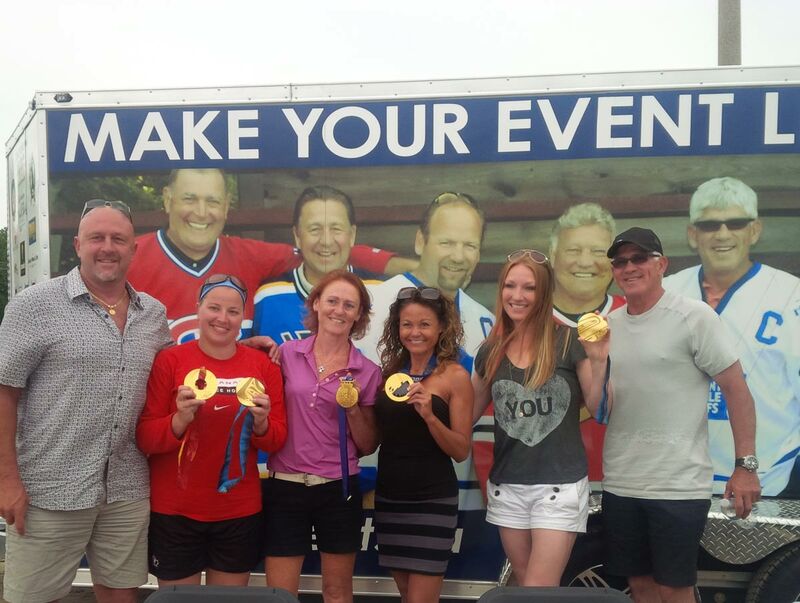 Jackson Events secured the services of several former NHLers for the 2015 tournament that was held in February. These players included Doug Gilmour, Joe Nieuwendyk, Dean Kennedy, Mike Keane, Ray Bourque, Terry O’Reilly, Gary Roberts, Brian Bellows, Charlie Simmer, Al Iafrate, Brian Propp, Mike Krushelnyski, Tom Fergus, Ric Nattress, Paul Coffey and Rick Vaive. Jackson Events event services organized a draft party the night before the tournament, during which teams draft players to play on their team. Teams draft positions are based on the money they have raised for the event. On game day, dressing rooms are set up in a pro-like fashion by event services staff. This includes designating each team their own dressing room, hanging player’s jerseys up just like the pros and putting a bag of merchandise for each player along with their jersey. Another type of event that Jackson Events event services specializes in is different types of dinners and functions. There are a wide variety of sports celebrity dinners in various cities throughout North America. Different dinners may desire different types of celebrities, as each city has its own unique culture, different histories and so forth. Jackson Events event services can help you find the right celebrities for your sports celebrity dinner. Part of our event services can also include arranging for you or your event to get some customized autographed memorabilia for you to either auction or raffle off, or give to people you feel worthy of receiving such a keepsake. 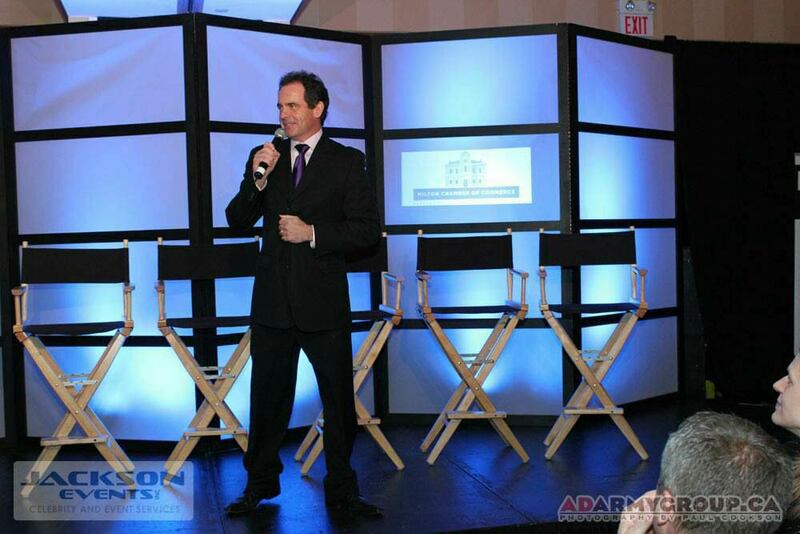 Jackson Events also specializes in providing event services to corporations. Today’s executives have less and less time to plan and execute important meetings while keeping costs down. Because of our event services staff’s experience as high-end event planners, Jackson Events has access to a multitude of venues and suppliers across North America. We have the privilege of planning meetings and conferences for some of Canada’s biggest companies. When it comes to team building, conference planning, motivational/celebrity speakers and excursions, Jackson Events should be your first and last stop. Allow our event services staff to provide these services to you, so that you can provide yourself and your staff the freedom to flourish in your careers by effectively managing your time and establishing a team that works well together. Whether you are looking to plan an extensive corporate retreat abroad, or simply need help planning this year’s Christmas party, let Jackson Events plan your business needs. If you are looking to plan a corporate event such as a Christmas or retirement party, our event services staff are able to plan your corporate event beyond your vision and expectations. Our dedicated team will research and find the appropriate venue for your corporate function. This will be totally customized based on the number of guests you are inviting, the activities proposed and the desired geographical location of your corporate event. After the venue is decided upon, our events services staff will continue to work with the venue on all other aspects of your event. This includes catering, bartending and the proper room arrangement based upon number of guests, activities and entertainment setup. In addition to taking care of everything with the chosen venue, our event services staff will also create a customized agenda for the evening’s festivities that can be distributed out to all guests should you desire so. Our crew at Jackson Events can also create live and silent auctions for your event, and arrange for celebrities to be in attendance should you desire their presence. You can use celebrities appearances for a number of things at your corporate event, such as them acting as a master of ceremony, a keynote speaker, or you can just have them mingle amongst your guests and share stories. In addition to corporate events locally, our event services staff at Jackson Events also specializes in arrange for your corporation to take deserving employees and clients on a corporate incentive trips abroad. Our crew at Jackson Events will work with hotels and resorts to make sure your corporate incentive trip is everything you would want it to be. We do extensive research and look upon our past dealings with certain hotels and resorts before making our recommendations to you. We can assure you that you will not be disappointed with your chosen accommodations. In addition to working with hotels and resorts, our event services staff also works with top of the line restaurants and entertainment facilities in the location of your corporate incentive trip to give you and your guests the best corporate inventive experience imaginable. Jackson Events event services staff will create the entire corporate programme and plan all your event needs. These include things such as corporate golf outings, excursions, the booking of meeting rooms and many other things. Jackson Events will also book both ground and air transportation throughout the duration of your trip. We will arrange for top of the line transportation for both on the ground and in the air to ensure you and your group are as comfortable as possible. The Jackson Events event services team can arrange for celebrities to be in attendance and take part in your corporate trip. Nothing can seem more rewarding to your guests than the opportunity to go on a corporate incentive trip with a celebrity they admire. 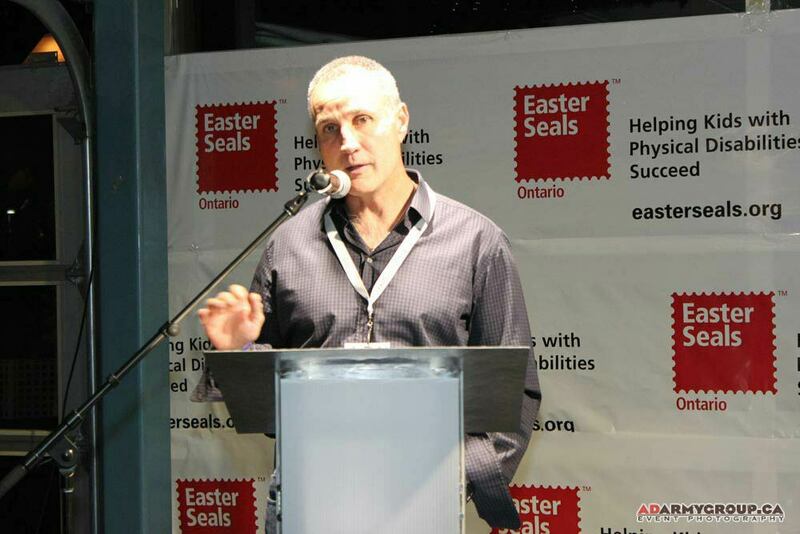 Former hockey pro Paul Coffey speaks at a charity event hosted by Jackson Events. Jackson Events event services staff will be on site throughout the duration of your corporate incentive trip ready to manage and carry out the planning of your trip. Jackson Events event services staff has taken groups on many corporate incentive trips and we strive to make your corporate incentive trip the trip of a lifetime. In the past, Jackson Events event services staff has planned and executed corporate trips to many places across North America. These locations include Las Vegas, Miami and San Francisco. Another option, if you desire a smaller scale corporate incentive trip, is a special offer by Jackson Events event services. 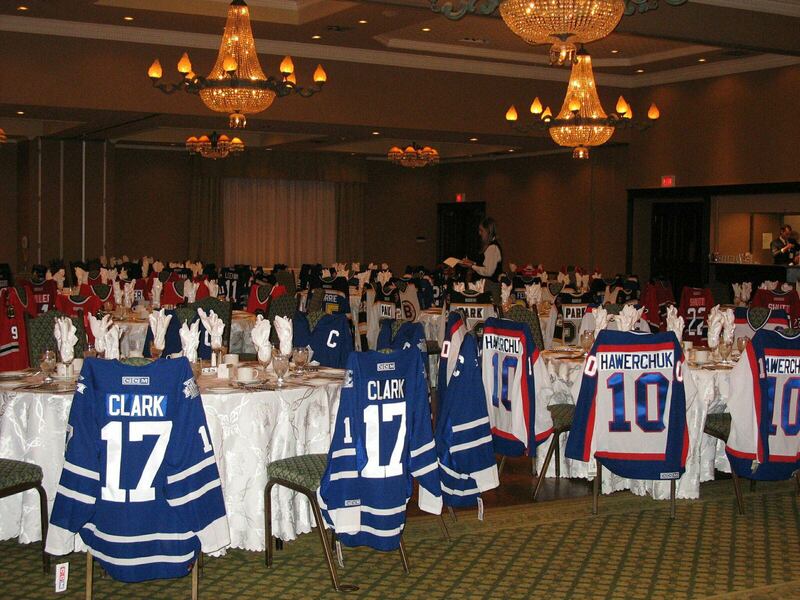 You can take up to 14 guests on a Muskoka Retreat Hosted by Wendel Clark. This is a unique opportunity for you to treat your clients or reward your team with a corporate Muskoka retreat, hosted by Toronto Maple Leaf legend Wendel Clark. Your event would take place at Wendel’s privately owned, stunning summer home on beautiful Lake Rosseau. The property has four guesthouses to accommodate you and your guests. Along with overnight accommodations at this beautiful summer home, this package also includes a BBQ dinner hosted by Wendel Clark, a round of golf at one of Muskoka’s finest golf clubs, a personalized boat tour with your hockey guest and a unique gifting item for you and your guests. This is a good way for you to reward a small, but elite group of employees and allows you to let them know that they are more then just a number on a list of qualifiers. Jackson Events can provide catering and complete event services that ensures your event is as exciting as possible. The Jackson Events event services team makes it our main priority that your event is one you will never forget and one that your guests will always cherish. Our event services team strives to be the best in the event planning business. Our event services team treat our clients just like we treat our celebrities; with integrity, honesty and a sense of fun. If you are interested in having our Jackson Events event services team plan and coordinate your event or corporate incentive trip, please call us at 905-727-9797.